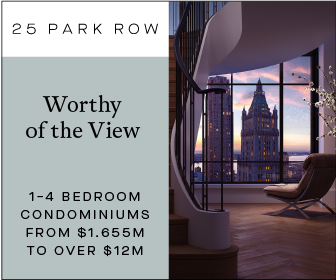 Back in January, YIMBY released new renderings of 301 East 81st Street, aka 1562 Second Avenue that showed a two-story addition to the tower. 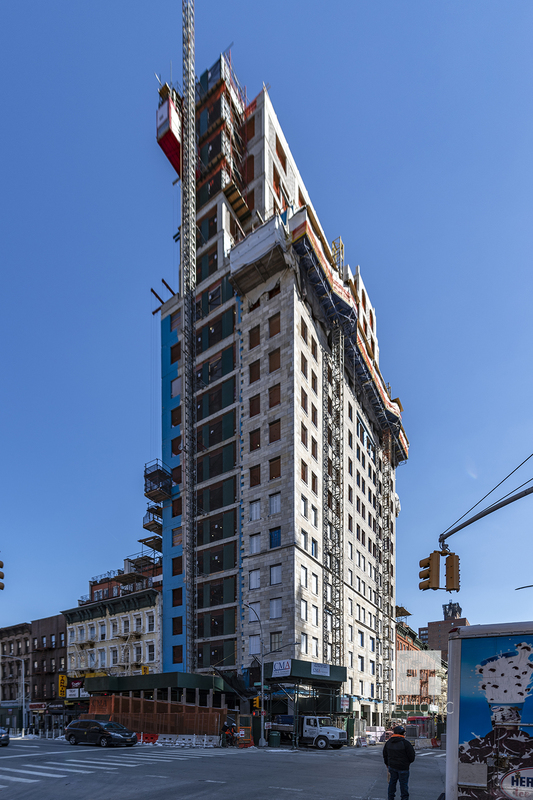 Now, the upcoming residential building has topped out over the Upper East Side, as facade installation continues. 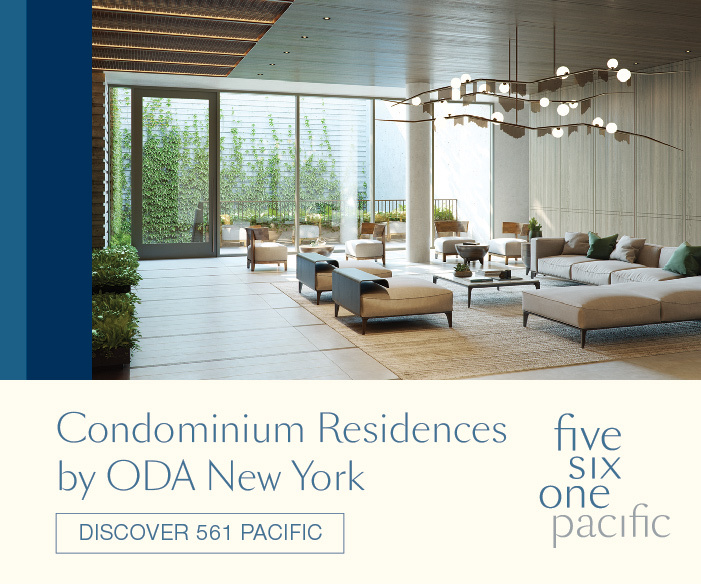 Designed by Studio Sofield and SLCE Architects, the 215-foot-tall structure stands 19 stories high and is being developed by Icon Realty Management. 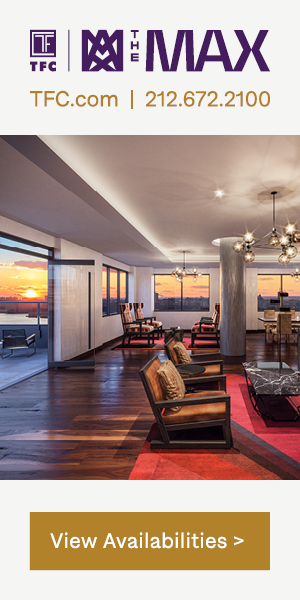 There will be 28 condominiums, a second-floor amenity space, and future retail space on the cellar and ground floor. 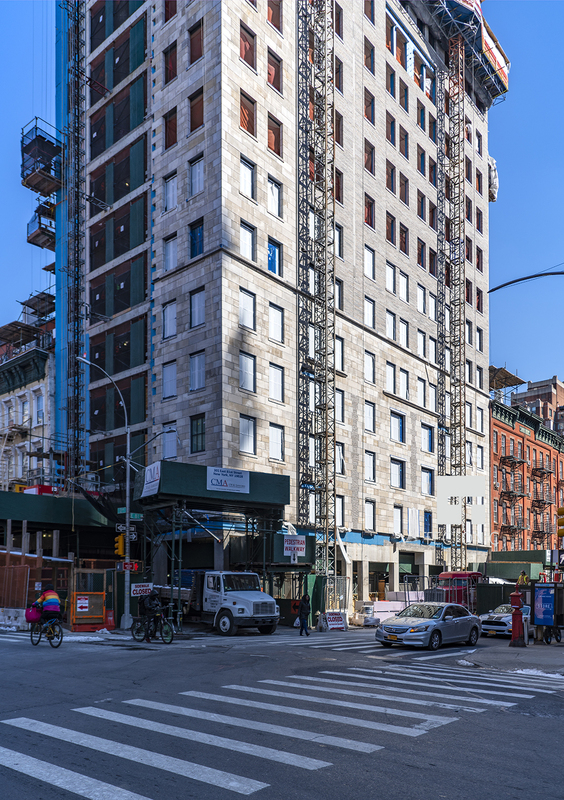 Recent photos taken by Tectonic show the eastern brick fenestration along Second Avenue catching the morning light. 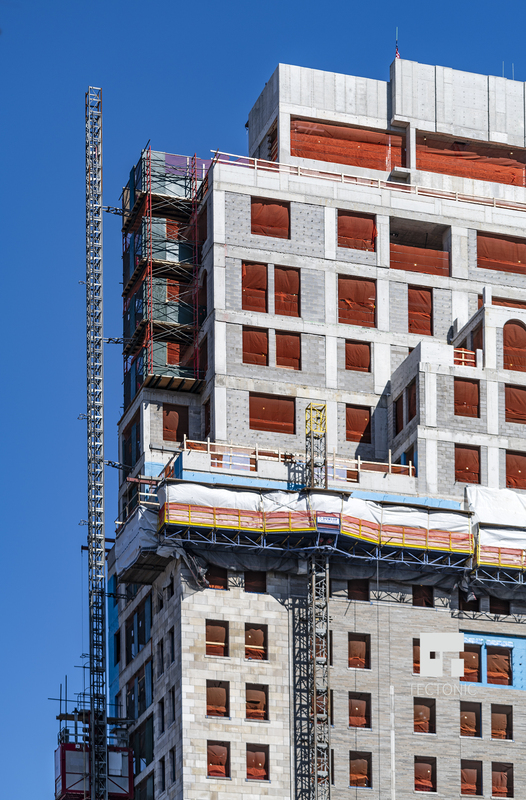 As of now, the curtain wall has reached the main setback of the building where future outdoor terraces will be located for several residents. The bottom floors have much larger stone blocks while the upper floors have thinner sets of bricks between the punctured window bays. 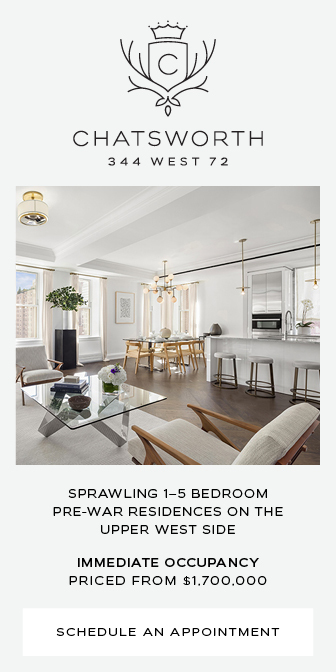 The last two floors will feature multiple arched windows and several layers of cornices and sculpted corners that give an extra touch of detail. Multiple balconies with black-colored railings will contrast with the clean and minimalist brick and stone surfaces. 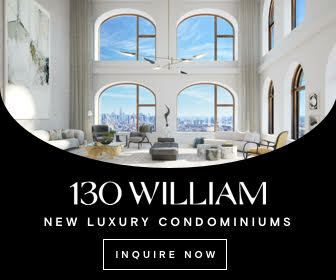 Amenities for 301 East 81st Street will include a swimming pool, a basketball court, a fitness and yoga center, communal lounges, and a children’s playroom. 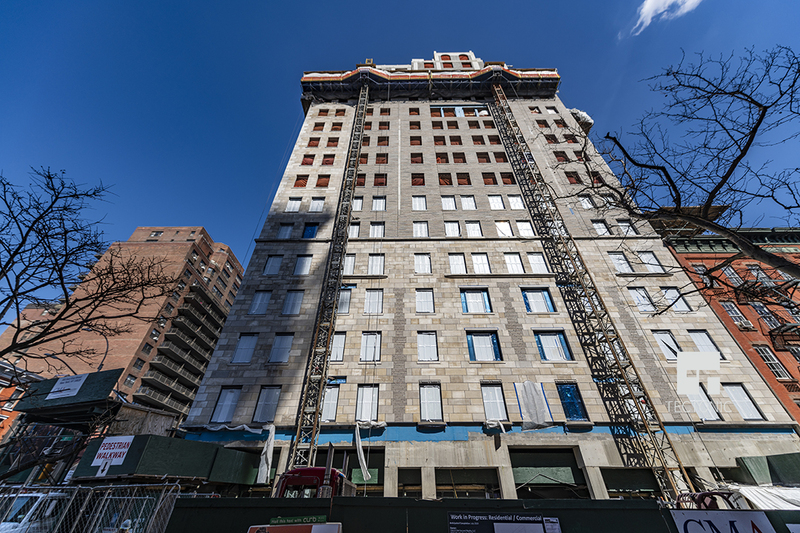 301 East 81st Street should be finished before the end of the year. 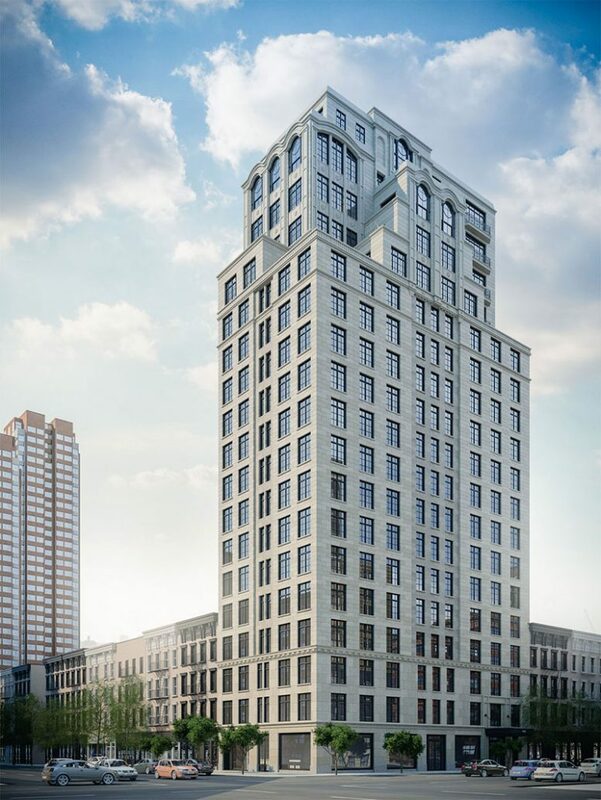 2 Comments on "301 East 81st Street Tops Out As Brick Curtain Wall Installation Continues on the Upper East Side"
This looks like a GREAT building, but the street level rendering is uninspired and any retail at that level will suffer if it’s not reconfigured to be more inviting.